Want to hold a Birthday party in Poole? Our al fresco room is an ideal venue for a Birthday Party, with a twist. Have your child’s Birthday party at Da Vinci’s and leave the clearing up to us! When you hold a make a pizza party at Da Vinci’s Italian restaurant the children get to make their own pizza with one of our chefs. 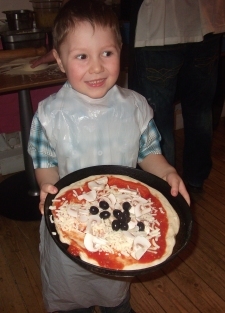 We provide a ball of our home made pizza dough, tomato sauce and various toppings, and help the children to stretch the dough and top their own pizza. We cook their pizza safely for them in our kitchen, and then serve it to them with a soft drink and delicious ice cream for dessert. All for just £10 per child. Parties available from 4.30pm – 6.30pm Monday to Friday, and from 12.00 – 2pm Saturday & Sunday. To all the staff at Da Vinci’s, We just wanted to say a really BIG thank you for a fantastic Birthday party for Toby today. Everyone had a great time and your attention and hospitality was amazing. I’m so glad I didn’t have to catch the dough as it was thrown around the restaurant! This was certainly a party with a difference which we are sure other children will come back for more and as a family we will certainly be back to experience your excellent service and food again. It was the most relaxed and friendly party we have been ever had. Next time you can make the pizza!!! How many children can you accommodate? The minimum number of children is 10, we can accommodate up to 30 children. How long does the party last? Our pizza making parties usually last for about an hour and a half, depending on how many children there are, and how old they are. What is included in the price? The price of £10 per child includes the pizza making, a glass of cordial and an ice cream. We provide aprons, dough and other ingredients. Should the parents stay with their children? If the children are very young, they may need a little extra supervision. Our parties are very relaxed (hey, we are Italian!) and parents often stay and share a bottle of wine or have some coffees while their children are at the party. Do you provide party bags? You can either bring your own, or we can provide them for £2.50 per child. These will typically include a small toy, some stationery, some bubbles, and a few sweets. Contents vary and depend on the age of the children. Can we bring balloons to decorate the room with? Yes, feel free. But please do not stick anything to our walls. How do I book? 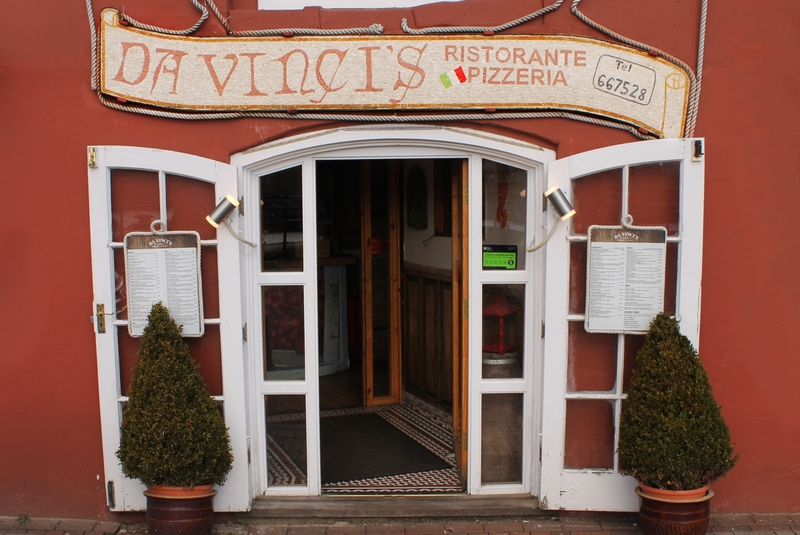 Either e-mail us at info@da-vincis.co.uk or ring us on 01202 667528. Do I need to pay a deposit? Yes please pay a deposit of £2.00 per child. This can be paid in cash, or a credit card payment may be made over the phone. Error: Error validating access token: Session has expired on Thursday, 16-Aug-18 23:32:38 PDT. The current time is Saturday, 20-Apr-19 11:12:43 PDT.